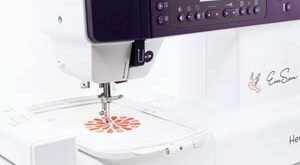 Review: Janome MOD-100 Computerized Sewing Machine - Buy? 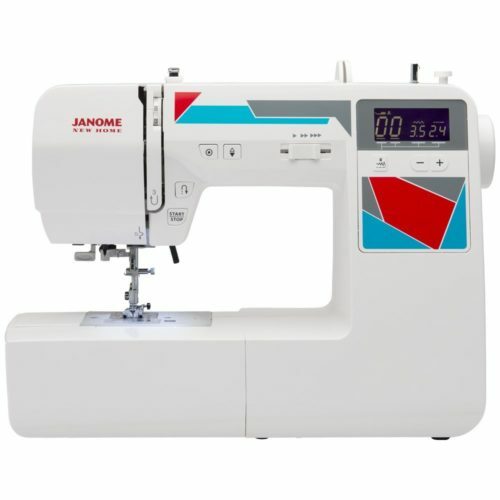 Reputed by the manufacturer as the world’s easiest sewing machine, Janome MOD-100 is not just easy; it is easy in a sophisticated way. MOD-100 is equipped with every available feature needed to conquer your projects with precision, power, and confidence. Therefore, this review is deemed necessary to educate you on this amazing sewing machine. If I may ask, do you love sewing and see it as your passion or hobby? If the answer is in affirmative, a Janome MOD-100 should suffice. With the machine, you will realize and achieve a level of creativity you never knew you had. Sewing a garment quilts and home decor on a Janome MOD-100 gives you the needed fresh start. It may be seen as a basic machine, but possesses the needed features for an advanced project. Janome MOD-100 is intentionally fortified with impressive features you will need for every or any project. With a built-in needle threaded, all you have to do manually is thread the machine to the level of the needle, while you watch the automatic needle threader get the thread into the tiny eye of the needle. It is a computerized sewing machine installed with an LCD screen, from which you can visibly see the stitch you are on. With the directional buttons, you can select the stitch type you desire and tweak it to the length and width you need. There is also the elimination of guesswork due to the LCD screen; it displays the machine recommended stitch at the top of the screen. On top of this is also the convenience buttons right of the needle. You can utilize the start/stop buttons without using the foot control or reverse button. With this feature, you can sew without using the foot pedal; this is ideal for quick sewing and mending. Just by the LCD screen, there is also a needle up/down and a locking stitch button. 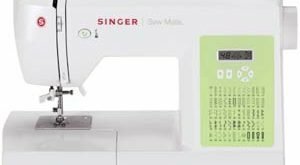 There is a speed control slider which aids comfortable sewing. With the speed controller, you can stroll between the highest and lowest speed of the sewing machine. If you are sewing a curve, bend or an intricate work, you can set to low speeds, but on a straight sew, to a faster level. The removable storage compartment turns the machine into a free arm. If you need to sew a cuff, or hemming of a pant, just detach the storage compartment. Winding bobbins is a thing of the past if you are using a Janome MOD-100. The auto de-clutch bobbin winder automatically gets to work as soon as there is a need for winding. It immediately stops when it is full. Who should buy Janome MOD-100 Sewing Machine? Any sewing enthusiast can purchase the Janome MOD-1000. It is not too advanced for beginners, and not too simple for expert users. It is ideal for every level of expertise and experience. 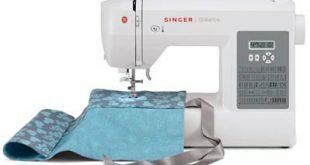 If you are a beginner, there are basic features that will make the sewing experience easy for you. On the other hand, experts will better utilize the advanced features of this sewing machine.